RubberForm LLC is a top-notch maker of ground-breaking recycled rubber products, traffic safety products, related highway safety products, home improvement markets and shipping & vehicle safety. They serves the general public by providing the highest quality manufactured products. 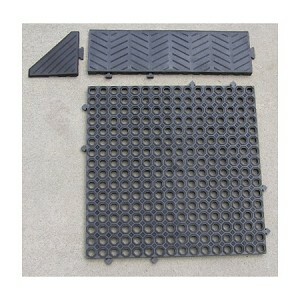 RubberForm’s Tread Safe interlocking non-slip industrial tile surface can be used indoors or outdoors. Simple installation and simple maintenance is one of the best features. The precision octagon grid design allows for a free flow of liquids below the surface of the tiles to keep feet comfortable and dry. 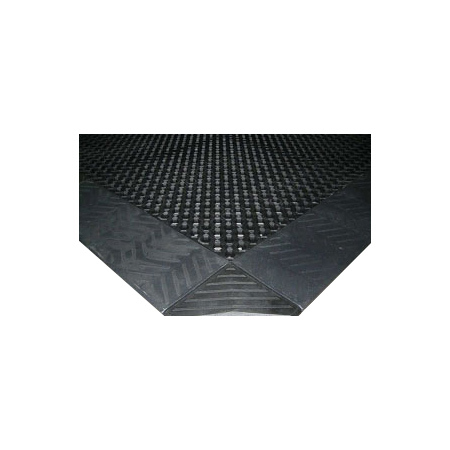 RubberForm’s Tread Safe safety floor tile can be vacuumed, washed and steam cleaned when required. It has excellent slip resistance endurance when it is wet. It is flexible, conforms to any floor or concrete surface, it also hides cracks and stained floors. Can be vacuumed,washed and steam cleaned when required.